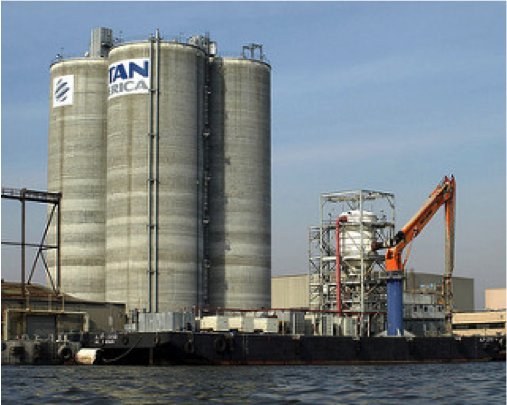 On March 10, Titan America announced plans to suspend building a coal-fired cement plant and strip mine at Castle Hayne in New Hanover County along the NE Cape Fear River. Because thousands of volunteers, residents and advocates took a stance with their voices, letters, petitions and rallies, the people of New Hanover County won an eight-year battle to protect a clean community. This was a huge achievement, and we’re so thankful for everyone’s hard work and support. Never underestimate the value of our community standing together for something better. We stopped Titan for now – but the work to advocate for clean jobs and healthy communities continues. We still need solutions that allow for responsible growth that will create a bridge for economic development while balancing our natural resources. In order to finally close the door on Titan and prevent more heavy polluting industries from building here, we need your help. The type of economic development we attract impacts more than just job growth; it will also affect our community’s public health, water supply, social equity and our natural resources for generations to come. The solution is to adopt the improved Special Use Permit (SUP) process for Industrial Development in New Hanover County. We believe this is the next step to achieving this goal. Show your support for the improved SUP. We believe the community benefits when policy makers, business owners and residents all participate in the decisions that shape our future. Sign our open letter to show your support of the SUP. Thank you for your help. We could not have taking a stand against Titan without the collective efforts of our volunteers, citizens and advocates. For more information on the next phase of our fight through the SUP process visit nhcspecialusepermit.org.